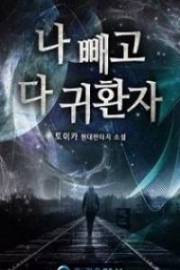 Read novel online » God Of Slaughter » Chapter 1226 The Monster Ancestor’S Blood Sacrifice! God Of Slaughter Chapter 1226 The Monster Ancestor’S Blood Sacrifice! The Holy Beast Azure Dragon had appeared in Monster Dragon Star. After he had walked out of the Teleport Formation, he smiled and rubbed Cang Yun's head, appraising him. Cang Yun was so excited. Azure Dragon's eyes were ancient and experienced, his body muscular. He pondered and then triggered his blood. As Bath and Gu Te were in the other remote area on the Monster Dragon, their monster bodies shook as the drops of Heavenly Monster Tribe's blood had bounced as if they wanted to get out of their bodies. The members of Brutal Dragon Tribe and Evil Dragon Tribe with Heavenly Monster Tribe's blood in their bodies could sense something. They were astounded as they didn't know what had just happened to them. The Holy Beast Azure Dragon looked awkward and embarra.s.sed. Cang Yun stooped. He suddenly got something and his mouth arched into an odd curve. He could guess why the Holy Ancestor looked strange. Heavenly Monster Tribe had many Monster Ancestors. The immemorial creatures that Grace Mainland had given birth to were all addressed as Monster Ancestors. However, the four Holy Beasts held high positions in Heavenly Monster Tribe. 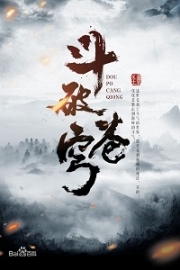 Guarding four directions of Grace Mainland, they had innate supernatural abilities. Rumors said that after Azure Dragon had left the ancestral star, he wasn't constrained anymore. He had kidnapped women from different races to satisfy himself. Thus, he had so many children and grandchildren. His descendants had more or less his blood. However, it was diluted so they weren't his successors. In this cosmos, ninety percent of the monster tribes with the word "Dragon" in their names were his descendants including the ice dragon, the flood dragon, the evil dragon, the brutal dragon, and more. When he arrived at Monster Dragon Star and checked his blood, he found that many of them answered him. The blood that could resonate with his was the result of his absurd youth. Thinking for a while, Azure Dragon couldn't remember which races the women of the Brutal Dragon Tribe and the Evil Dragon Tribe were from. Recalling his time of l.u.s.tful youth, he forced a smile. As the four old monsters of Heavenly Monster Tribe knew the ugly truth, they tried to hold their laughter. Azure Dragon pretended to know nothing. He used his Soul Consciousness to cover the entire Monster Dragon Star. All of a sudden, he let out a low scream, his face strange. He frowned and pondered for seconds while gazing at Cang Yun. Then, he flashed and brought Hugo, Nathan, Tian Yin, and Ao Gu away. Those four monsters were the main line of the Gold Crow, the Phoenix, the Heaven Python, and the Unicorn. They disappeared quickly. Cang Yun was left at his spot. After a while, he brought the four monsters and reappeared at the valley where Ghost Hunter was cultivating. Strange light shot out of his eyes as he studied a sealed cave. The barrier at the entrance of the cave was torn as he was gazing at it. Ghost Hunter who was closing his eyes to cultivate in the cave was exposed. Ghost Hunter was filled with brutal Qi. He wanted to storm over and question the others. But then, he paled. The middle-aged man with deep and experienced eyes had something very solemn on his body that made Ghost Hunter want to kneel down in front of him. It was like he was facing his Primal Ancestor. He was shocked and couldn't have the thought of resisting. He had never had this feeling. "Who are you?" Ghost Hunter lowered his voice and hissed. Azure Dragon didn't answer. He rose one hand and pinched the void. Ghost Hunter was immediately grabbed and dragged toward him, turning directly into his monster form. He was a savage, fearsome beast with many spikes on his body. His eyes were ferocious like an ancient varmint. The four old monsters of the Heavenly Monster Tribe were baffled as they looked at Ghost Hunter. From Ghost Hunter, they could feel an extraordinary aura... That aura consisted of the aura of the Heavenly Monster Tribe's precursors, which was so ancient but matched with their ancestors. "Holy Ancestor. . ." cried Hugo, the descendant of the Gold Crow. Azure Dragon kept silent. He studied Ghost Hunter and touched something in the void. A drop of blood flew out Ghost Hunter's glabella and fell on the palm of Azure Dragon's hand. Just like a sprouting seed, the drop of blood and the lines on Azure Dragon's palm connected magically. He looked concerned as he was using his own blood to check the mysteries of Ghost Hunter's drop of blood. The four monsters looked at Ghost Hunter. They became more astonished and skeptical. 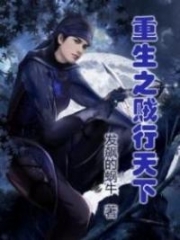 After a long time, Azure Dragon returned the drop of blood to Ghost Hunter. Right after that, he became solemn and an earth-shaking energy fluctuation arose around him. A drop of blood was forced out of his fingertip. The energy fluctuated from that drop of blood wasn't less powerful than an Incipient G.o.d Realm expert's. The four monsters screamed in unison. After Azure Dragon had squeezed out a blood drop of Life, his face became paler. He turned and told the others, "You four. Each of you shall offer a blood drop of Life!" The four old monsters discolored in fright, but they didn't dare to not follow Azure Dragon's words. They winced bitterly when they urged their powers to condense the blood drop of Life from their blood. Shortly after, four drops of blood appeared in their hands. Each of them had a different energy, but they were all intimidating. Azure Dragon's eyes flared with a magical light. Billions of symbols seemed to have revived. Five lightning columns suddenly appeared and covered the drops of blood from Azure Dragon himself and the four descendants of the Heavenly Monster Tribe, forcefully shoving them into Ghost Hunter's glabella. The four old monsters were shocked. The four couldn't help but cry. Azure Dragon turned around and threw them a glance as he asked, "What's the matter?" "Shouldn't we use this Blood Sacrificing Technique on Cang Yun? Cang Yun had risked his life to go to Desolate and earned the merit of our Heavenly Monster Tribe. It was his efforts for the Blood Sacrifice from you, Holy Ancestor. Why did you use it on this... fella?" said the Heavenly Python. The other three had the same concern. The Blood Sacrifice was a mysterious technique that only Monster Ancestors could do. Being given the blood drop of Life of the Monster Ancestors, the monsters could increase their powers, refine their bodies, and advance their overall competences quickly. Taking Cang Yun as an example, he had the cultivation base of level 12, which was equivalent to a warrior at Third Sky of Ethereal G.o.d Realm. If the Azure Dragon gave him his blood, he could have advanced directly to level 13: the Incipient G.o.d Realm. The Heavenly Monster Tribe's cultivation path was different from the other races. They didn't need to understand their realm deeply. When their monster body grew or transformed, they could break through instantly. However, this process was so slow. It took even more time than what normal races needed to understand their realm and breakthrough. Azure Dragon was the Holy Ancestor of the Heavenly Monster Tribe. His blood was the most perfect blood with fantastic effects. Cang Yun had survived strenuously for ten years on Desolate. 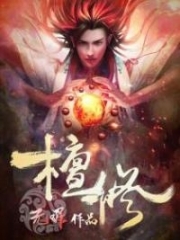 He had facilitated Shi Yan to take the Genesis Fruit to improve the entire Heavenly Monster Tribe. Normally, Cang Yun was the most eligible nominee to receive Azure Dragon's Blood Sacrifice. In fact, Azure Dragon came to Monster Dragon Star to prepare the celebration of the Blood Sacrifice for Cang Yun to help him reach level 13. However, Azure Dragon had used the Blood Sacrifice on Ghost Hunter and he had forced the four monsters to hand out their blood drop of Life. It had baffled the four old monsters. Even Cang Yun wouldn't receive this treatment. Previously, they knew that Azure Dragon had planned to use a blood drop of Life from his body to nurture Cang Yun and he didn't require them to do the same. Using the Life blood would have made them feeble for a long time. The four old monsters didn't understand his deed. Azure Dragon didn't mind them as he was forcing the blood to enter Ghost Hunter's glabella. Strangely, Ghost Hunter closed his eyes to receive. Amazingly, his monster body started to have many magical symbols, which looked ancient and rough. Those were the symbols of mountains, lakes, and even rivers. Ghost Hunter had the illusion of the mountains in Heavenly Monster Mountain Range on his back. Azure Dragon's eyes brightened. He concentrated more on operating his technique. The other four old monsters cried loudly, "The immemorial monsters symbols! The seal of the Heavenly Monster Mountain Range is in our ancestral star! This young man... comes from our ancestral star!" They suddenly understood something. Their eyes shot out dazzling light, as they clenched their fists in excitement. Only the monster with the Inheritance from Heavenly Monster Mountain Range could have the seal and the ancient symbols on the body. Also, only the monster blood of Heavenly Monster Tribe could receive that inheritance. Evidently, Ghost Hunter wasn't an ordinary monster. Azure Dragon was focused and billions of symbols danced in his eyes like a school of swimming fish. The five bolts of lightning were burning on Ghost Hunter's glabella to integrate the blood into his head. Gradually, Ghost Hunter's monster body was wound with lightning. The bolts of lightning were now dancing on his monster body. Ghost Hunter screeched and shrieked crazily. Blood splashed from his body as if he was enduring the great pain. 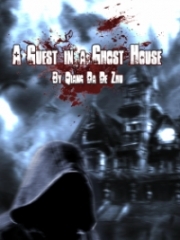 The blood splashing from Ghost Hunter's body was confined by Azure Dragon's power. He then forced Ghost Hunter's blood into thin threads and guided them back to Ghost Hunter's glabella. It was like a circulation. Azure Dragon retrieved his hands, his face tired. Ghost Hunter was now a big lightning ball. His cracked body inside the lightning ball seemed to be taking in energy that changed fast. This process was so marvelous. 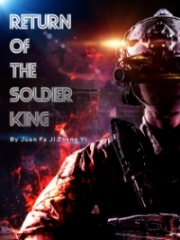 "Compared to Cang Yun, he's more suitable to receive the Blood Sacrifice." Azure Dragon finally looked at the four old monsters, his eyes deep and dark. "You're right. Our time is coming. Our Heavenly Monster Tribe has not only the Genesis Fruit but also...him." He pointed at Ghost Hunter. The other four monsters were bewildered. Azure Dragon just laughed and explained nothing to them, "In the coming ten thousand years, he'll be the key of our clan's prosperity. It's true that it's our clan's turn to be the overlords in our area and the entire universe!" In a dark, quiet place, a man covered in a thick layer of dust was sitting under the seven Demogorgon statues. It looked like he was dead for years. There was no vitality from him. Surrounding him was a dead place too. There was no plant or any small insect that existed. The whole place was shrouded in dead silence. After a long, long time, the withered gra.s.s around that man suddenly became green. Shortly after, many tenacious plants began to grow. The desolate Demon Area now had a strange life energy. It was slightly perceptible at first and then it slowly started growing. The entire Demon Area was now full of life. Gra.s.s and flowers bloomed everywhere and insects started singing. Everything looked so green and beautiful. Then, wind, sunlight, and the fresh aura of Nature filled the entire area. The barren, dead quiet Demon Area was now a life star full of earth and heaven energy. And the one who was covered in dust began to have feeble breathing. His aura was increasing continuously and surging like a rising tide! A thick, vigorous, life magnetic field emerged. It was like the scorching sun! God Of Slaughter Chapter 1227 Create The Miracle! You're Read God Of Slaughter Chapter 1226 The Monster Ancestor’S Blood Sacrifice! online at NovelOnlineFull.com. You can use the follow function to bookmark your favorite novel ( Only for registered users ). If you find any errors ( can't read,broken links, can't load photos, etc.. ), Please let us know so we can fix it as soon as possible. And when you start a conversation or debate about a certain topic with other people, please do not offend them just because you don't like their opinions. You're reading God Of Slaughter. This manga has been translated by Updating. Author(s): Ni Cang Tian,逆蒼天. Already has 654 views. Current Time is 18-Apr-2019 12:24:47 PM.